As a facebook user, i can say you will be using many of the facebook applications,games. But some of these apps may annoying you so if you want to find these apps and then remove these apps then here is the step by step guide which is specially written for removing these unwanted applications. Some times we are using an app on facebook, and we allow them to share something on our behalf, After some time we stop using these apps but still they are sending annoying requests and messages to our friends, so it is a good think if you remove these types of unwanted apps from your facebook profile. In order to remove unwanted apps from your facbook profile Follow the instructions given below. 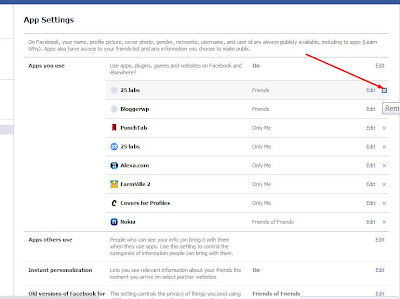 Step-2: This link will be redirect you to your facebook apps page where you can see all of the apps you usedusing on the profile you're logged-in. Step-3: Now you've to delete/remove all of the apps that you're not using and you don't need it. So to Remove these unwanted apps from your facebook profile hover mouse cursor on an app and click on "Remove"(Cross) button. Step-4: After clicking on it a new confirmation box will pop-up "Remove App" so click on Remove button. Step-5: The app you selected is removed now. Just like that you can remove other unwanted apps one by one. Tip: In order if you don't want to remove the app from your profile but want to prevent the app from sending requests or messages to your friends then you need to change the privacy of the app. To change the app privacy on facebook click on 'Edit and select 'Only Me' From the drop down menu of "Visibility of app"'. 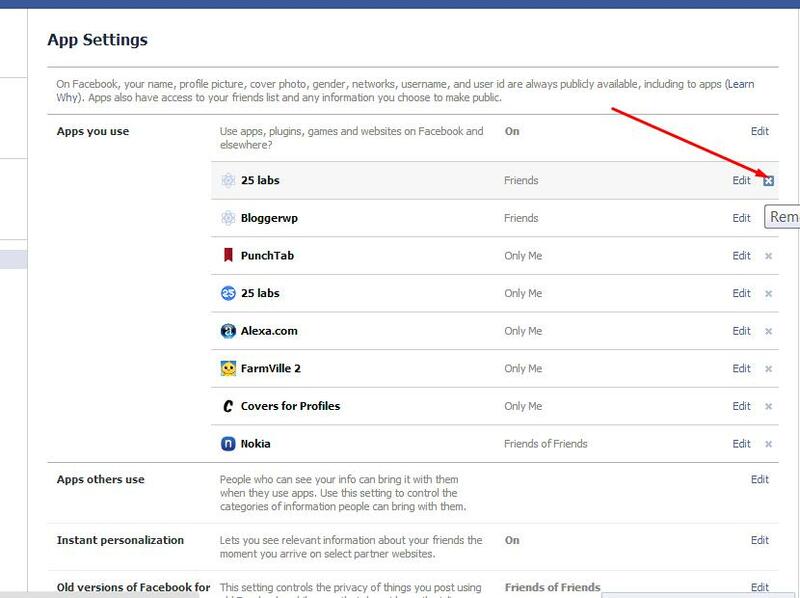 Bottom Lines: So friends this was a tip for finding and removing annoying/unwanted apps from your facebook profile, i hope this will help you also don;t forget to share this post with your friends. Its working, i've removed all the used apps from the profile.